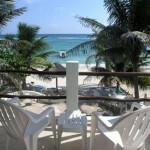 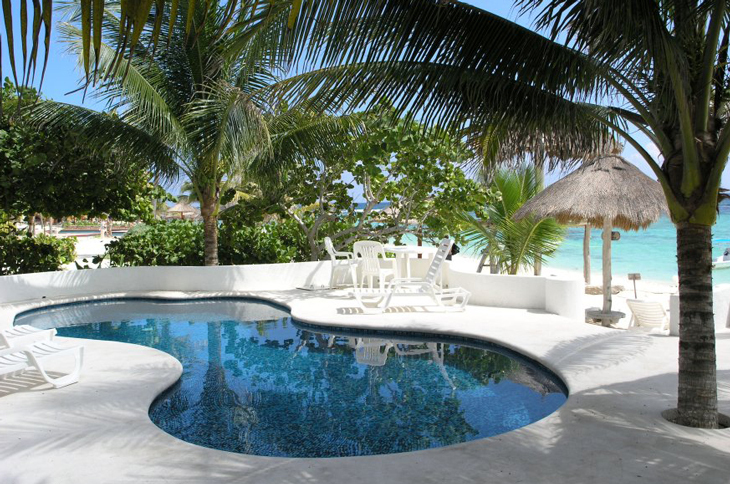 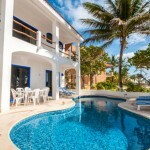 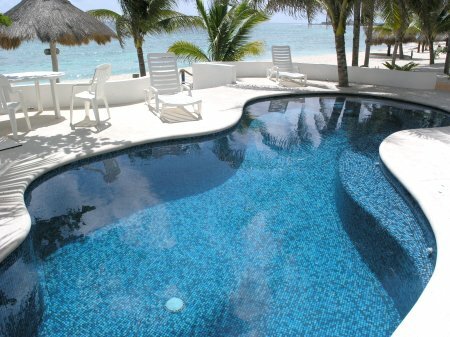 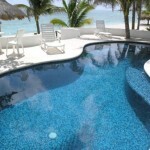 Casa Salvaje, in Aventuras Akumal, has a pool that’s perfectly positioned on the beach side of the house right at its back door with a stunning, white sandy beach just beyond. 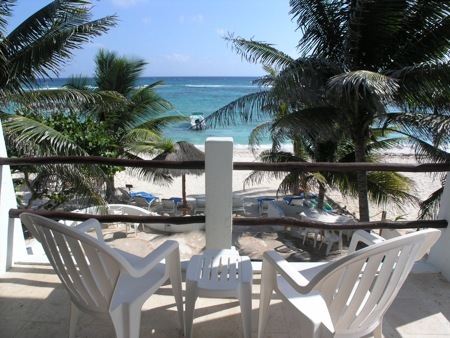 Kids can build sand castles and sunbathers can catch plenty of rays without needing to pack up and travel anywhere! 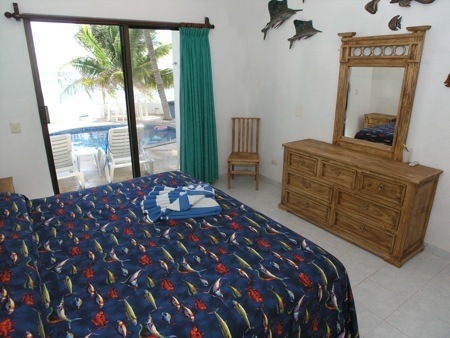 The shallow protected bay area is good for snorkeling coral heads or just swimming around. 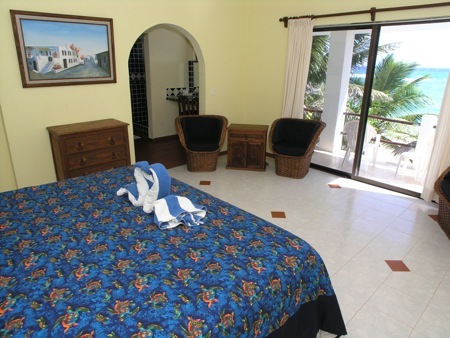 There are 2 kayaks for cruising the bay included with the rental of the house and sailboards are usually for rent along the beach. 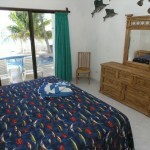 Scuba diving and fishing are available from a dive shop that’s right up the beach, less than a minute walk away. 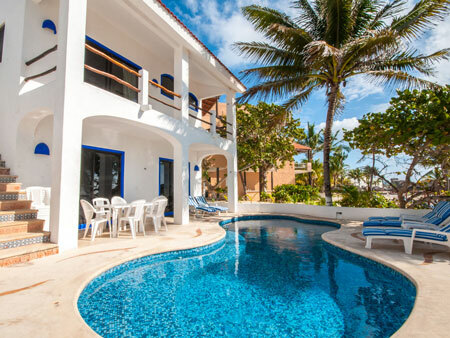 A beach lover’s villa on a sea of sand, this two-story house has four air conditioned bedrooms with four en-suite bathrooms. 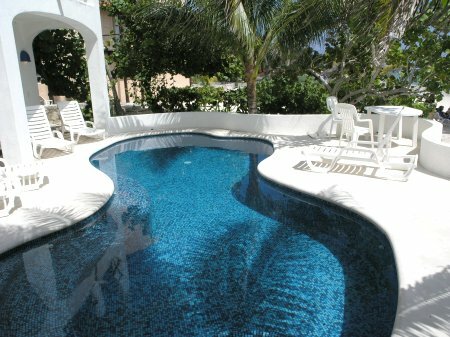 Three bedrooms are on the ocean side of the house, with fantastic views of the pool and the Caribbean beyond, with sliders to either a private terrace upstairs, or the beach side pool deck downstairs. 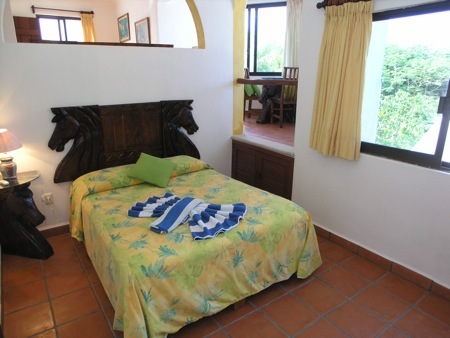 The fourth bedroom faces the garden greenery on the other side of the house. 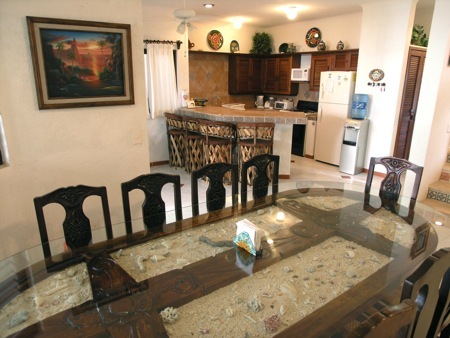 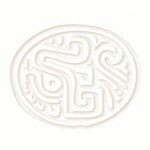 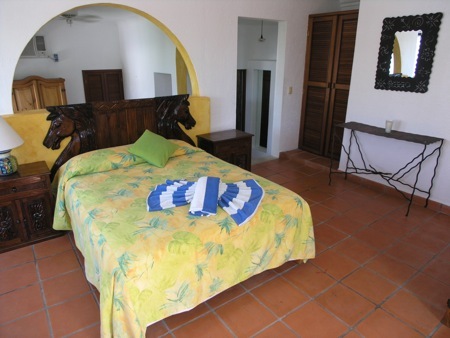 Casa Salvaje’s main house has a fully equipped kitchen with all the essentials including a microwave, toaster-oven, blender, coffee maker, etc. 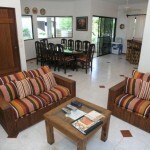 The living room has comfortable seating and satellite TV. 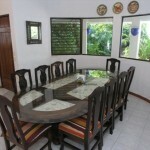 The dining area has panoramic windows and seats ten people. 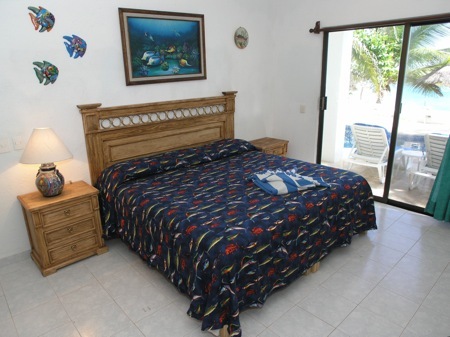 An outdoor grill is provided for your catch of the day or cheeseburger in paradise. 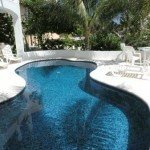 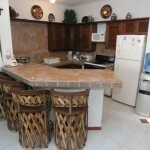 Cookout and dining options are on the garden side, inside or on the pool deck and beach. 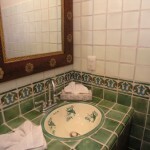 Casa Salvaje also has Wi-Fi Internet. 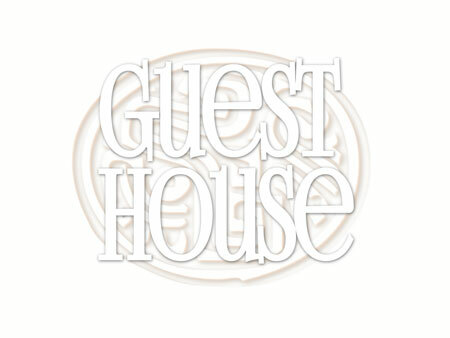 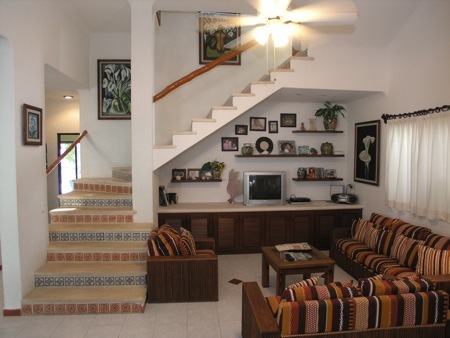 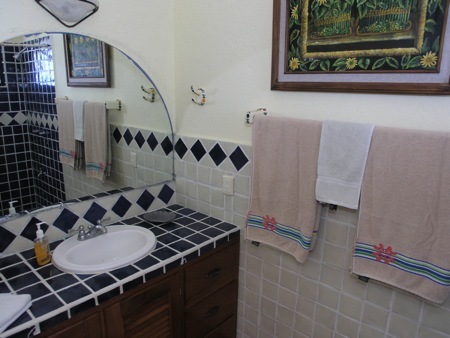 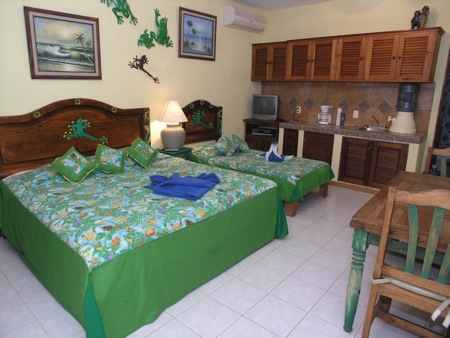 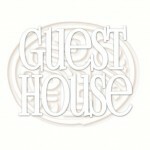 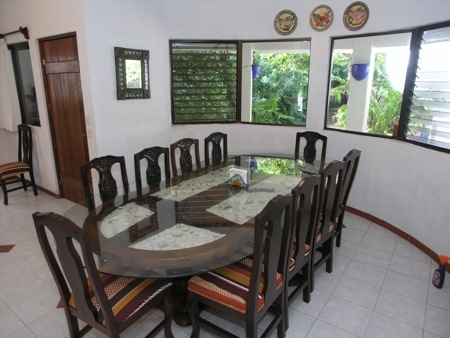 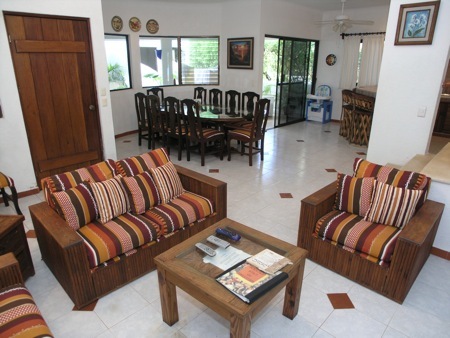 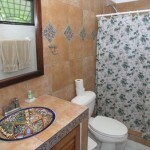 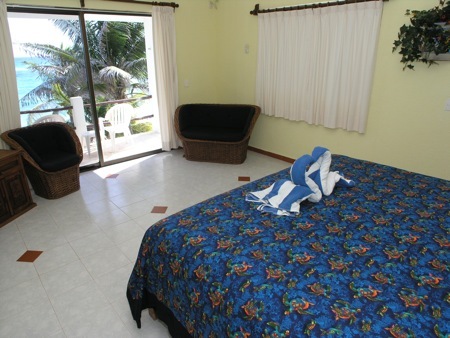 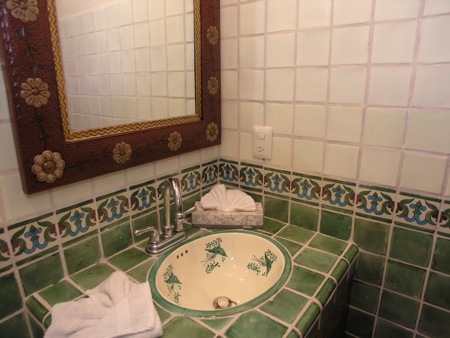 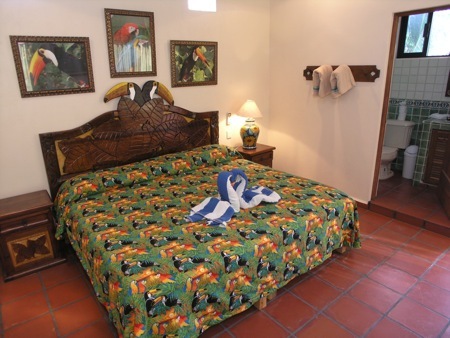 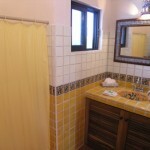 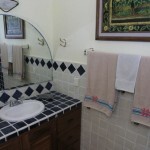 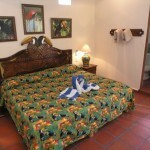 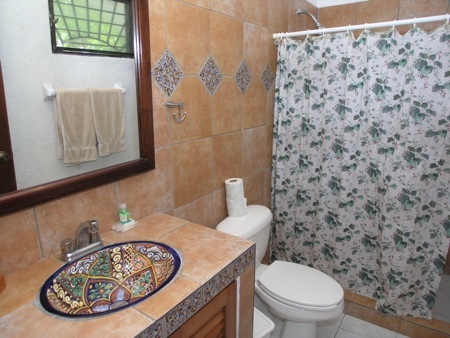 Three guesthouse casitas with 3 extra bedrooms are available for larger groups. 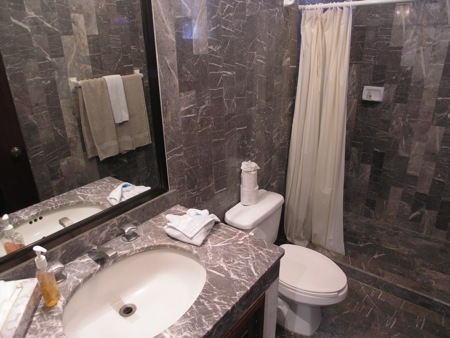 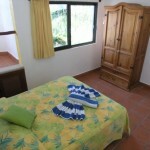 On the ground level is one bedroom with a queen bed and a single bed. 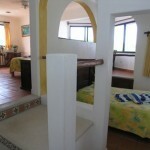 On the upper level are 2 bedrooms, each with a king bed. 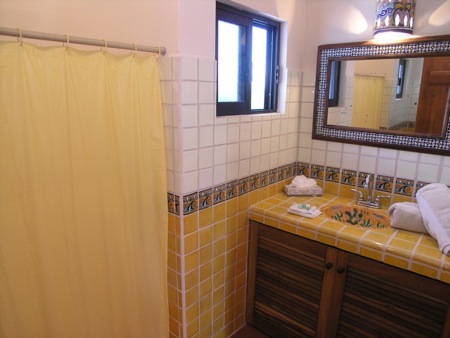 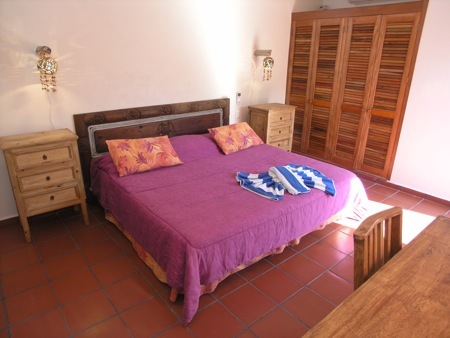 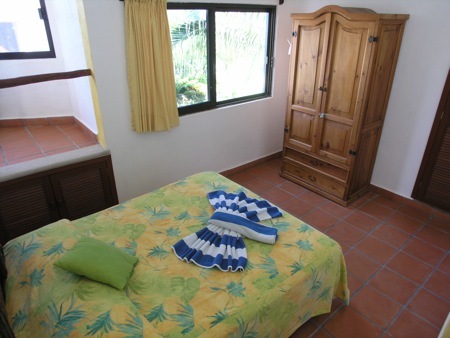 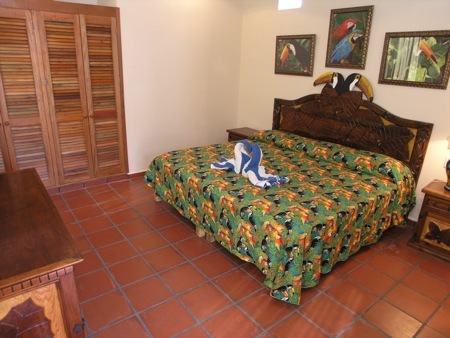 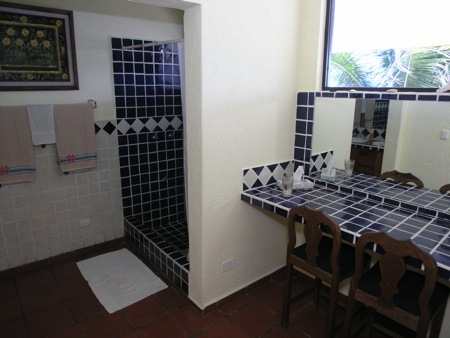 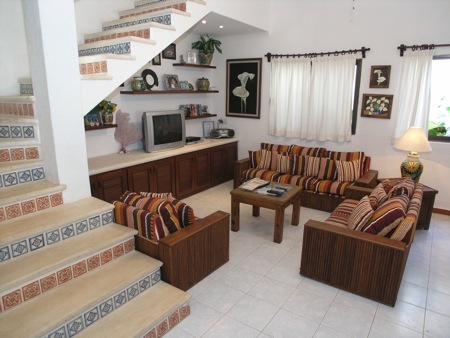 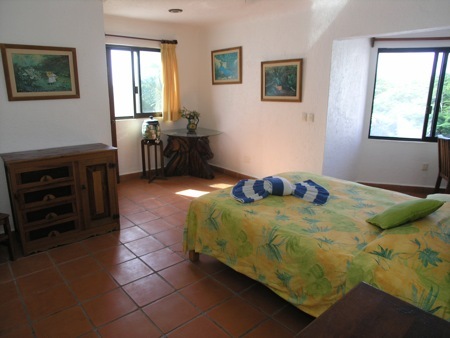 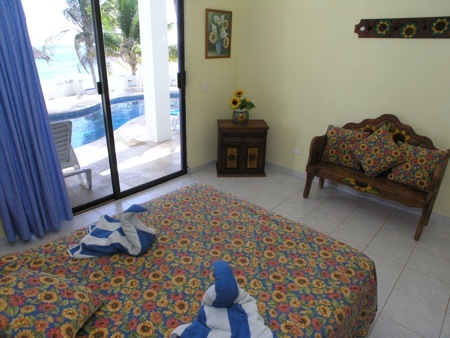 The lower level casita can sleep 3 people and each upper level bedroom can sleep 2 people, thereby increasing the villa’s total occupancy to a maximum of 17 people if both casitas are fully occupied. 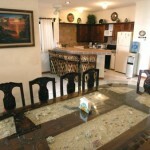 Right in the neighborhood, in Aventuras Akumal, is a convenience store for any immediate kitchen needs. 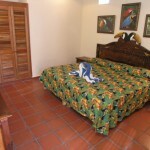 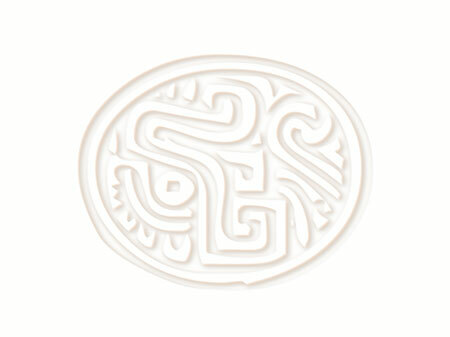 Next door, to the south of “Aventuras”, is the entertainment complex of Hacienda Doña Isabel. 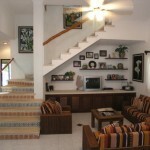 It is within walking distance for gift shopping, dancing, cocktails and dining. 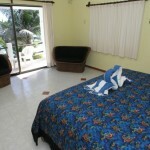 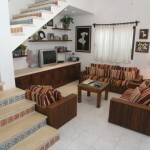 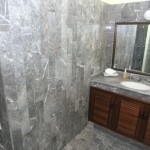 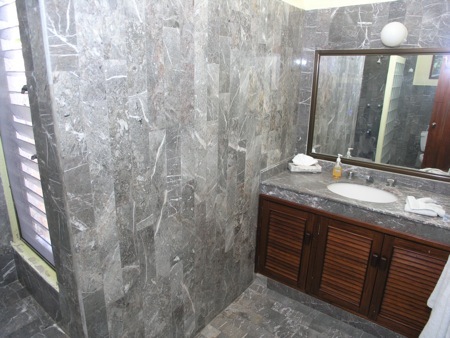 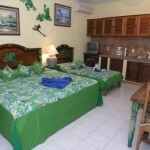 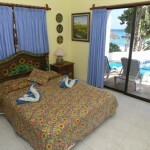 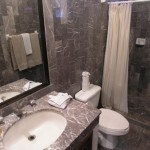 Rates are in USD, per week, for up to 10 people in Main House. 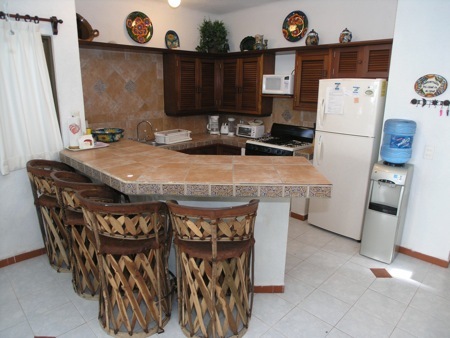 * Add $300 per week, per extra bedroom. 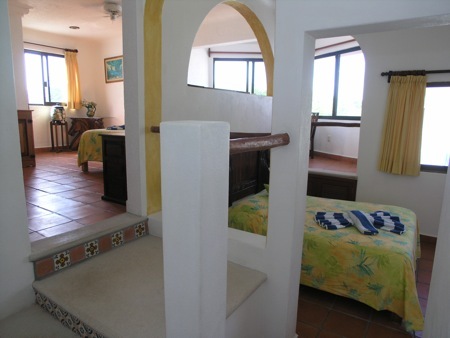 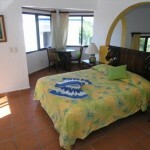 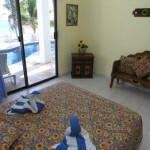 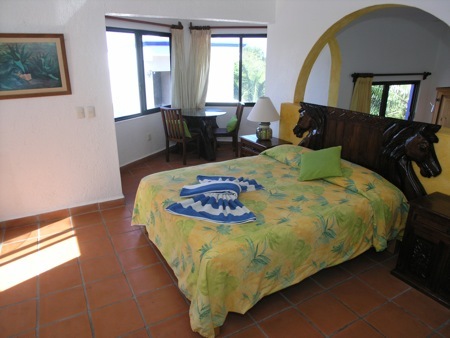 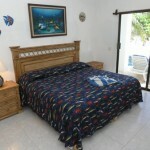 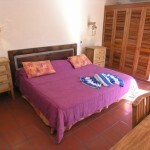 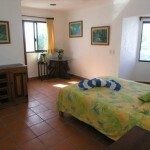 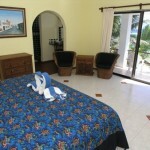 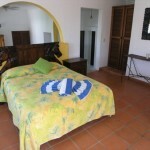 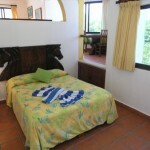 There are 3 additional bedrooms in the casitas. 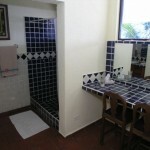 Max Occupancy: 17 Guests (main house and casitas). 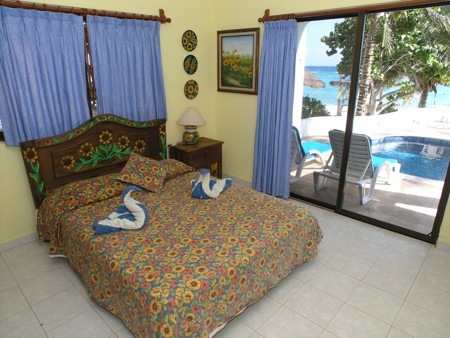 Only Saturday to Saturday stays, from November – April.